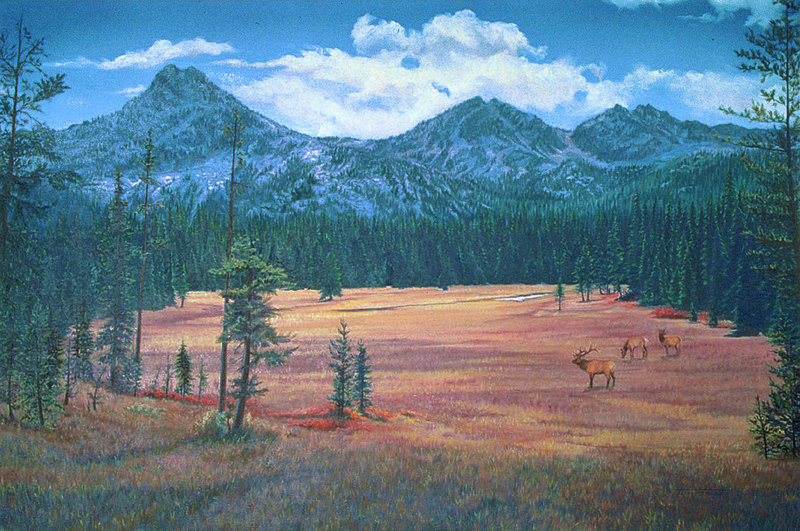 Gunsight, Lookout and Angel Peaks provide a dramatic backdrop for elk grazing on the soggy meadow known as Floodwater Flat. As the snow melts in the spring, the meadow fills with water and slowly drains throughout the summer and fall providing a constantly changing array of wildflowers and wildlife. Floodwater Flat is nestled among the eleven lakes in the Anthony Lake area located in the Elkhorn Mountains northwest of Baker City, Oregon. Between 1947 and 1961 the Forest Service laid out twenty-five cabin sites above Floodwater Flat. In 1964 W. E. Roake of Richland, Washington put up a rib arch cabin on lot 23. Thank you to Jim and Donna Roake for sharing their memories of their father and his dream.